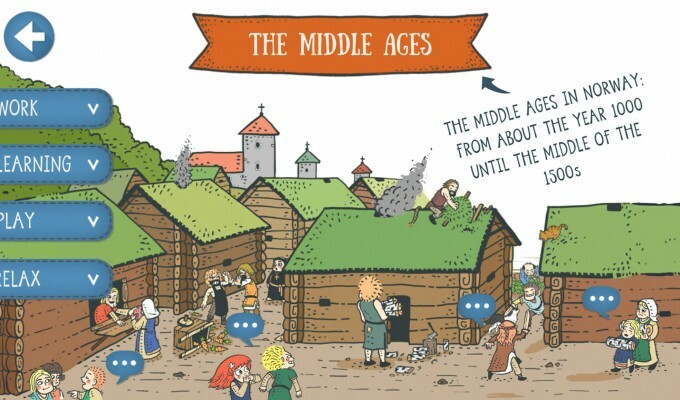 This digital history book is an exciting travel through Trondheim’s 1000 year old history. 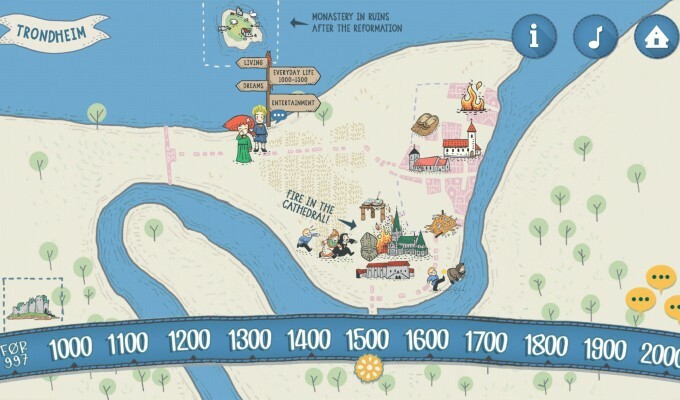 By means of an interactive time line you can travel through the centuries, and make the city develop before your eyes. 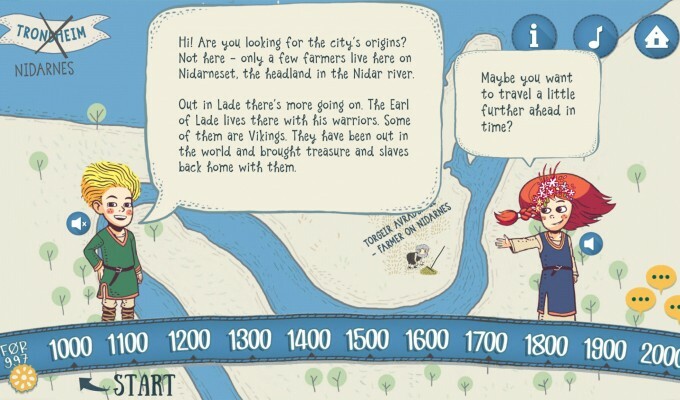 The app contains also a treasure hunt with GPS-location where you have to move through the actual city to collect virtual gold coins. Text and voices are in both Norwegian and English.